The ENABLE project was launched in February 2014 (ends in January 2020) within IMI's 'New Drugs for Bad Bugs' (ND4BB) programme. The ENABLE consortium is working to advance the development of promising new antibiotic compounds targeting Gram-negative bacteria such as Escherichia coli. The goal of the project is to develop attractive antimicrobial candidates for extensive preclinical studies and First-in-Human clinical trials, bringing new antibiotics to treat Gram-negative infections one step closer to patients. ENABLE manages a drug discovery and development engine for testing and optimising compounds in all preclinical phases of antibiotic development. ENABLE is an initiative targeted at SMEs and research institutes. What can ENABLE do for you? The Portfolio Management Committee (PMC) of ENABLE is composed of 15 experts from leading EFPIA companies, universities and independent consultants from all over the globe. With their long and extensive expertise in drug discovery, clinical development and anti-bacterials they will mentor your programme and advice on challenges as well as on how to mitigate these. In ENABLE you will benefit from a well-developed drug discovery and development platform that helps you advance your programme in a very efficient manner. We have experts and staff in many fields including microbiology, chemistry, ADME, in vivo studies and safety that will support you to bring your compound forward. The ENABLE team and our experts are easy to approach and eager to support. We can assist you in developing a detailed project plan that is in line with Big Pharma. 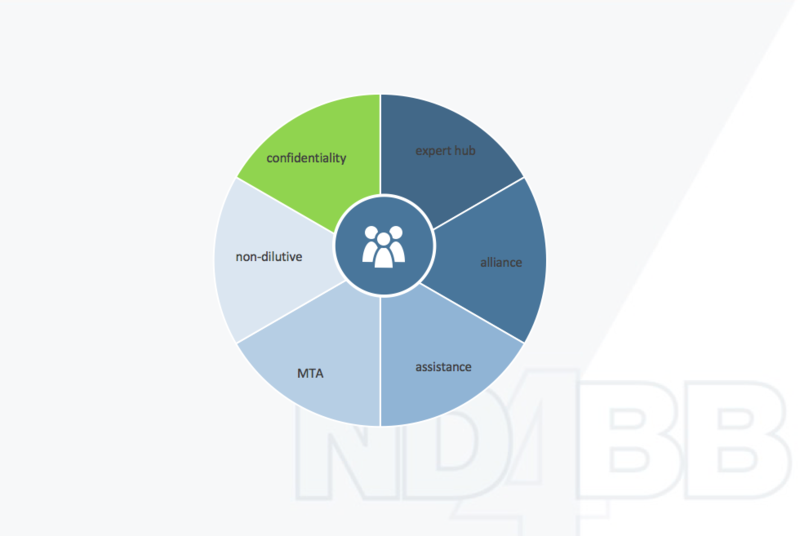 If your programme is not yet meeting thresholds with regards to compound maturity or generated data package, ENABLE offers a Material Transfer Agreement (MTA) Route – a kind of pre-ENABLE funding. If accepted, this will also be 100% funded by ENABLE. Your compound is your compound and will stay your compound. Programme owners retain full ownership of their asset and all value added through the work of ENABLE. A value sharing agreement has been created within the consortium, where a small percentage of future income generated from the resulting anti-bacterial by the programme owner will be shared between partners. ENABLE has a very restrictive communication policy and only communicates what you agreed upon or released yourself. Commitment, professionalism, transparency, willingness to discuss and - in some cases - adjust plans based on expert advice. Especially for academics: please get in touch with your valorisation offices to clarify the commercialisation potential of the compound. ENABLE was official partner of the 11th Berlin Conference on Novel Antimicrobials and AMR Diagnostics. The conference took place on the 2 March 2018 and ENABLE partners contributed to different sessions and the Marketplace. The world’s leading experts will join the most important congress in infectious diseases, infection control and clinical microbiology to present and discuss the latest results. With a focus on European innovation and global collaboration, BIO-Europe Spring is the premier springtime partnering conference bringing together a "who's who" from biotech, pharma and finance in the most innovative biopharma clusters in Europe. The BIO International Convention represents more than 1,100 biotechnology companies, academic institutions, state biotechnology centers and related organizations across the United States and in more than 30 other nations.